Paid parking, well connected by public transport & 10 minute walk from the terminal. 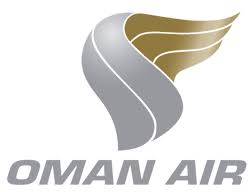 Oman Air is a world class luxury airline that offers affordable, international flying experiences and a service with a smile. Hosting a base at Schiphol Airport with a full size meetingroom and now available via Spacemaker. Office Around The Corner is a complete meeting or training space providing a variety of tools (e.g. beamer, flipover). Located in the Base at the heart of Schiphol Central Business District and at walking distance from the terminal.